Hi I’m Quinn, I’ve been teaching piano since 2004. I specialize in teaching jazz and blues piano, including theory and how to improvise. I teach all levels, from absolute beginners to advanced jazz, blues and improvisation techniques. I also help students prepare for AMEB exams. I’m based in Umina Beach, but I’m also available to teach in areas such as Ettalong, Woy Woy, Empire Bay, Avoca Beach, Terrigal, Erina Heights, Kincumber, Copacabana, Macmasters Beach, Hardys Bay, Pretty Beach, Wagstaffe and similiar areas. See my fees page for information on lesson prices. My teaching style is based on the needs of the student. Some of my students excel within the Australian Music Examination Board (AMEB) structure, working through the grades and doing regular exams. Others do better just learning for pleasure at their own pace, whether it’s blues, jazz, pop-songs or the classics. I try to work with the student’s strengths to build confidence, then tackle at their own pace what they find difficult. I also try to instill an inquisitiveness about the theory of music rather than just learning by copying and repetition, so the student really understands what they are playing, and the knowledge is for life. Also, rest assured that I have a working with children check (WWCC) NSW. You can even look me up on the WWCC website to verify my status. My WWCC number is WWC1085706E. 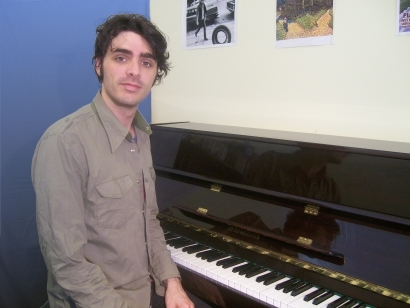 "Quinn’s piano teaching style is engaging and open-minded. He relates really well to young students, treating them as equals and collaborators. My son was very inspired by his approach."